Fulfilling indeed is Food Blogging. For those of us who love to cook and blog, it is indeed a fulfilling hobby and I have been enjoying this “double-treat” hobby for the past 1 1/2 years. Of late, this hobby has also been paying off financially in the form of advertisements which appear on this blog. The monthly income from this blog is more than sufficient for me to pay for one whole year’s hosting and blog-related fees (and also subscription to internet broadband at home). What I have discovered is that apart from the recipes or text in each post, food photography plays an important part in the success of the food blog. Hence, I have been hard at work trying to improve on my food photography lately. If you have a food blog, pay as much attention to your food photography as to your blog contents. As they say, a new reader might fall in love with your blog at first sight! Going back to advertisements – you will notice that I have this longish vertical advertisement on the sidebar from Foodbuzz. I am honoured to be a Featured Publisher of Foodbuzz as that entitles me to special privileges and earnings from their advertisement network. I am not allowed to reveal the terms of payment by reason of the confidentiality agreement but suffice to say, it is one of the best advertising programmes out there in terms of payout. To sign up, you will need to complete a survey (which I also did) and await their approval. Only food bloggers qualify. If you are a food blogger and have not joined Foodbuzz, you are missing out a lot! I’m glad you find your food blog fullfilling. As I, among many, find your food blog very enjoyable and thank you for your unselfish sharing of your recipes and knownledge. didally & lance : Thanks! Hi my first time here…you’re right about food photography. 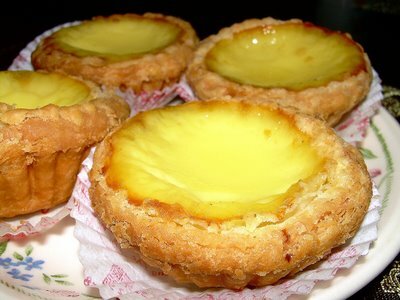 Like right now I’m drooling over the egg tart photo. Yummm! nice blog. very useful for newbie like me 😛 btw, would you know if chicken cube stock is healty to consume often? a wifey : Erm….if you want a healthier chicken stock, you can always pre-cook in advance and chill them like ice cubes and keep them for future use. Definitely healthier than instant chicken stock cubes. I totally agree with you about the importance of food photography! My blog, http://iheartasianfood.blogspot.com doesn’t have that many pictures, because I kinda have a hard time taking pictures for my blog. However, I just wanted to say your blog is truly great! Nice website! Thank you for sharing food, pictures and recipes! Rex : Do sign up. You got nothing to lose. I did.. and put you as referrer.. 🙂 thanks again..!